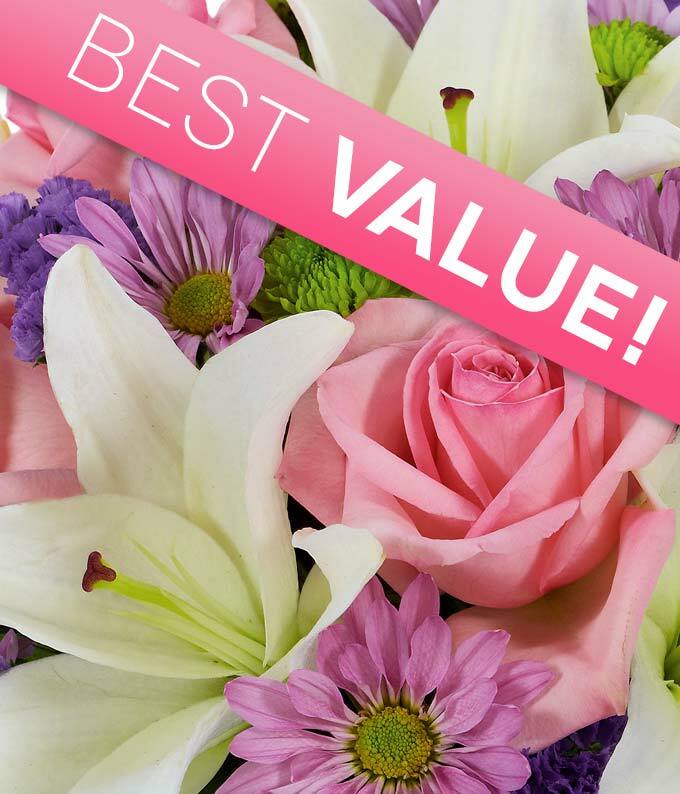 Send a beautiful flower arrangement this Spring with seasonal flowers delivered in a glass vase. Hand arranged and delivered by a local florist, this bouquet is blooming to celebrate every Spring holiday. Delivery same day available.